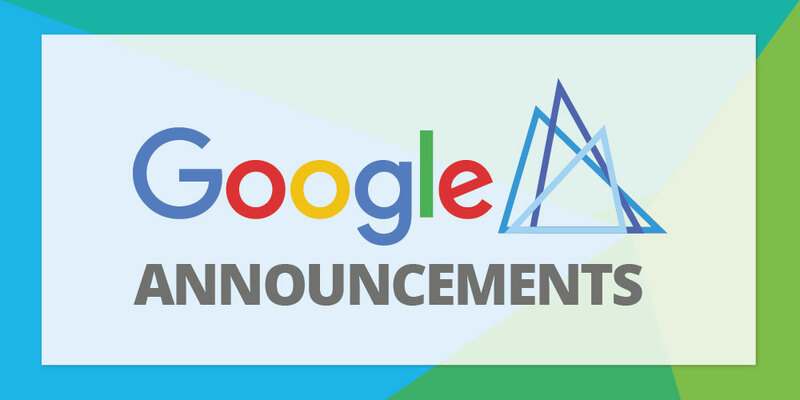 The past few weeks have witnessed many Google-related announcements, especially with Google’s annual Marketing Next event occurring 22nd – 24th May. 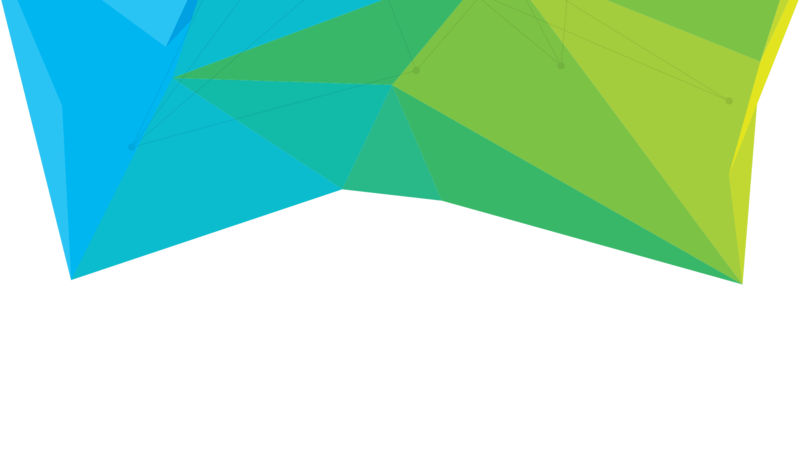 Hosted in San Francisco, the Google Marketing Next event is an annual summit where future product innovations are announced to the digital marketing world. The 2017 event saw many AdWords-related innovations that will be summarised below. 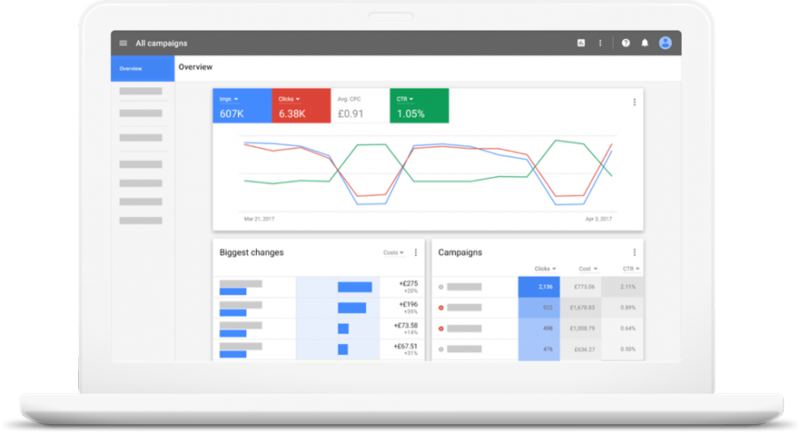 Perhaps the most significant update of this year’s event, Google announced the new AdWords interface will be rolled out to all advertisers by the end of 2017. Google first announced a redesign of the AdWords interface in March 2016, however this Marketing Next announcement confirmed it’d be available to all advertisers by the end of the year. In news that triggered alarm bells throughout the PPC industry, Google recently announced that AdWords was testing the automated creation of ad variations based on information from existing ads. One of the main reasons that B2Bs outsource PPC advertising is the expert account management by a Google-certified professional. By automatically creating ad variations, AdWords is reducing advertiser control in a bid to increase Google’s advertising revenues. Fortunately, it is possible to opt out of this test, which Hyperbrand recommends for its PPC clients. Provided as a 1-10 rating, Quality Score outlines the relevancy of ads and landing pages in terms of the keywords that triggered them. The relevance of the ad, the expected click through rate and the landing page experience help determine Quality Score. Previously, Google provided just one Quality Score based on past activity, combining ad relevance, expected CTR and landing page experience into one 1-10 rating. However, Google recently split out the individual Quality Score metrics in addition to providing a historical comparison. This update not only enables PPC advertisers to understand which elements need improving, but also to compare to current and past performance. Ad Rank is utilised to determine whether PPC ads display and, if so, in which position. The main components of Ad Rank are the maximum keyword bid, Quality Score, and the expected impact of ad extensions and other ad formats. 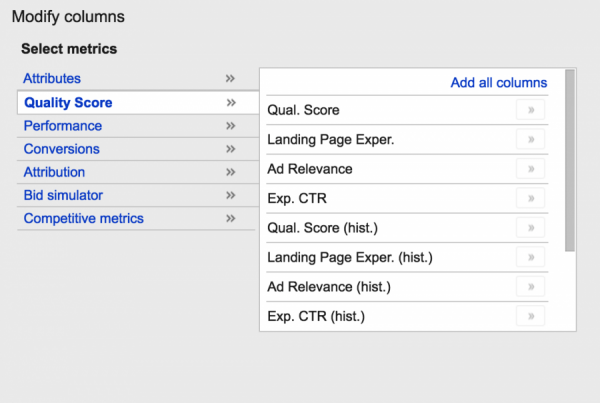 AdWords is now also considering the context of the search query to help determine Ad Rank. For example, a higher Ad Rank threshold is likely for news-related queries compared to product or service-related queries as intent is much greater when searching for products or services. Whilst this may seem obvious, Ad Rank didn’t previously consider query context. This Ad Rank update could potentially increase PPC costs as maximum keyword bids increase to maintain the higher positions. At Marketing Next, Google announced the testing of Accellerated Mobile Pages (AMP) landing pages for AdWords. Ever since Google introduced AMPs in October 2015, it’s been a matter of when, not if, the search engine giant would further integrate the fast-loading technology to other Google products. Whilst in beta, Advertisers are now able to serve AMP-enabled landing pages to mobile users, which should serve content much faster than standard landing pages. According to Google, early analysis has shown improved user behaviour statistics and increased conversion rates. Managing a PPC campaign effectively can be time consuming, especially for busy B2Bs who already have long to-do lists! As a Google Partner, we proactively monitors Google announcements and innovations to ensure compliance with the latest best practice. Could your B2B be better off outsourcing PPC?